Medals on Medals at the Commonwealth Cup! This past month we entered ten of our beers into the 2016 Commonwealth Cup, a beer and food fest put on by Alltech in Lexington, Kentucky. 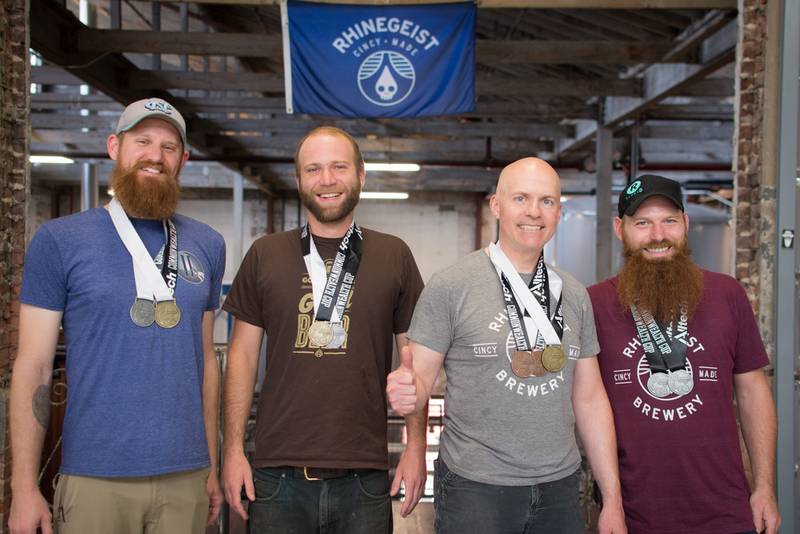 The Commonwealth Cup featured over 50 breweries and 175 beers from both Europe and the United States! We entered a wide spectrum of beers and ciders in this year’s Commonwealth cup, and out of the ten entered, nine of them won a medal and three of those were gold! These experiences are hugely humbling and equally as exciting for us as a young brewery. It’s directly indicative of the work our brew team (as seen in the picture above) is doing and the diversity and quality of the styles we’re brewing. We'll continue to keep our nose to the grindstone and smiling while we sweat.